"Not optimized for algorithms but a great warehousing tool"
The ability to automatically load data from aws into databricks for collection, and analysis. It does a great job of customizing the notebooks and nodes that can be created. This tool is not optimized for R users. They were supposed to have an update Q1 for R studio but their help team informed me that this was no longer a priority. Even so, heavy AI and machine learning algorithms are not optimized for use here besides the usual theano and keras on python. Its also difficult to run analyses on a large volume of data without sampling which defeats the purpose. If you have simple needs and not looking to run unsupervised AI on this then it will work for you. I, however, need to create sophisticated models and cannot do so without constantly running into issues left and right. "One of the best scalability solutions out there." It is no surprise that Spark is one of the fastest growing technologies today and databricks provides a platform that makes transitioning to Spark easier. I like how there are also tutorials for people who are just beginning to learn make the onboarding to Spark easier. Love the connection with Github so there is the ease of sharing the projects with the world. Love the ease of pipeline creation in whatever language that one is comfortable in. Could give a bigger size of the cluster for individuals and students so that they can explore it to a bigger extent. Also, technical support is not good enough. I also do not like there is no way you can collaborate on a project. Visualization could be better. We are scaling our marketing solutions using this platform. Would love even more tutorials. Should have video tutorials as well. "Great Product for Analytics Teams"
Databricks is my company's one stop shop for interacting with our expansive datasets. 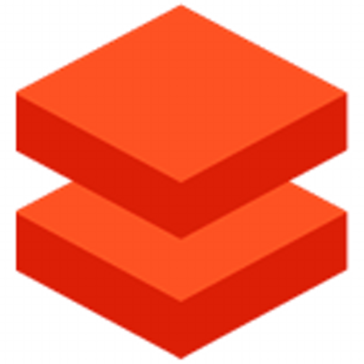 Databricks has been great so far for navigating our complex storage systems, accessing data, and being able to analyze it without having to switch programs. One of the best features of Databricks is that you can use a variety of languages within the program to complete all steps needed to fully use the data. I like being able to switch seamlessly between python, spark, and sql to work on big data sets. Additionally, the formatting of the workbook is awesome. You can create new spaces below your original data view in order to perform the analysis. When using Databricks on a cloud-based server it is sometimes difficult to search through the folders and tables to find exactly what you need. I think it would be beneficial if they created an S3 browser to speed up this process. When looking for a new program to access and query your data, look no further. Databricks is better than any SQL server I've used and allows you to utilize python, scala, and spark without having to waste any time changing workbooks. Databricks is helping our analytics group to sift through our mountains of data in order to create new and innovative products that paint a picture of client's customers (and beyond). Personally, I think this program saves a lot of time than having to work on data in silos based on the language you are working with. "Make Big Data Feel Small"
The system architects data delivery in a very easy to use and intuitive way. Non-data-savvy individuals are able to access the insights that data can provide and the support around the product is 2nd to none! Try to ask an individual their experience with the product and how they used it. The work to implement and create connections is often the most complicated part, not the analysis of the data itself. "Great product for uncovering data insights but not made for team projects"
You can sync data from different systems all onto this one platform and everything can be analyzed without switching programs since you can also use many different programming languages and reap the benefits of each such as SQL and Python. This makes it so much easier to work with large datasets. Very nice user interface too! Very difficult to collaborate on projects using Databricks, it is its biggest downfall and in fact just almost outweighs the benefits. I also don't think their customer support is the best, have had some challenges with that. Otherwise a very good product. Keep in mind that you cannot collaborate on products. Technical support is also not the best! Great way to uncover data insights easily from large datasets. One of the best features on the platform is the ability to use a notebook environment and attach them to different Spark interpreters. I do like the user interface and the easy access to browsing files stored on the cluster. Controls are not really developed, it is hard to optimize runtimes. Databricks is expensive and we can not say it is the best for price/value. Try to avoid Databricks proprietary special operators as they will not work outside of this environment. Tracking performance of millions of loans. We get responses much faster than without using big data tools. Some of the queries we run took days previously while now they take only minutes. Overall Databricks has worked well, though it has taken longer than we anticipated to get it up and running. Frees up data scientists to do data science instead of fighting with cluster management. "Very fast to run queries"
Databricks is a great tool to integrate queries from MySQL, Redshift, Python, and Adobe Clickstream data and the queries run pretty fast too. It takes some coding knowledge to set up and a good Data Engineering team. It allows me to pull reports in one place. "An easy way to quickly and efficiently analyze data"
I love how accurate and quick databricks is. Once I started working with databricks, I couldn’t fathom doing data analyzation and comparisons without it. The software is not the cheapest on the market and that detracts funds that could go elsewhere throughout the hospital. However, databricks continues to be a great product. Multiple forms of data analysis along with demographics and data comparison implementations. Software was great and easy.It was fun to use. Nothing at all.Ircwas understandable and fun. "Easy to get started with big data "
* We monitor all Databricks reviews to prevent fraudulent reviews and keep review quality high. We do not post reviews by company employees or direct competitors. Validated reviews require the user to submit a screenshot of the product containing their user ID, in order to verify a user is an actual user of the product. Hi there! Are you looking to implement a solution like Databricks?